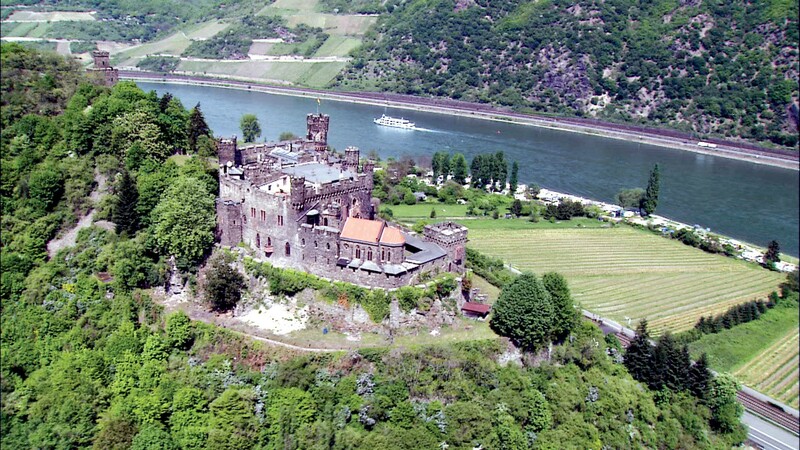 VISIONS OF GERMANY: Along the Rhine follows the lyrical path of the Rhine River through Germany’s southwestern region. Aerial footage, informative narration, and a local soundtrack including native sons Ludwig von Beethoven and Richard Wagner (and, if you listen closely, the siren song of the Lorelei) combine for an enchanting journey. 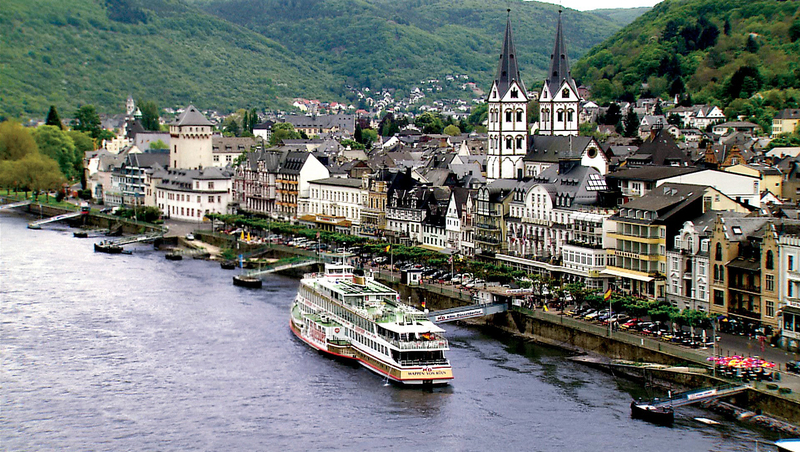 The river provides the perfect itinerary from Lake Constance to Cologne, with side trips to the Grimm Brothers’ Black Forest, cosmopolitan Frankfurt, the rich wine region, historic Bonn, the romantic string of castles like beads on a necklace at Koblenz, Heidelberg, and more. 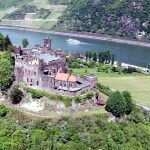 CUTLINE: This program follows the lyrical path of the Rhine River through Germany's southwestern region for an enchanting journey. 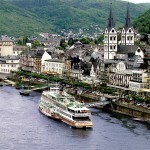 The river provides the perfect itinerary from Lake Constance to Cologne, with trips to places like Boppard (shown).